Captivate the senses with the best in contemporary Cape cuisine at Signal Restaurant. Experience vibrant dishes that reflect the abundant South African landscape, an extensive wine list that covers the best local and international wines and a diverse menu to suite every palate. 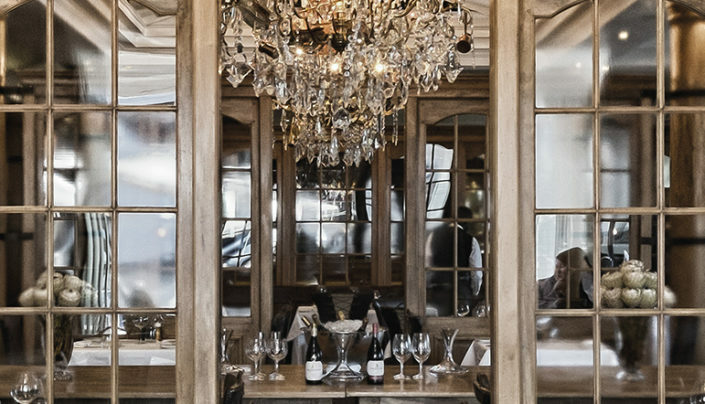 Aged Yellowwood furniture, crisp white linen, handcrafted crystal chandeliers and ceiling to floor glass doors create an equal sense of comfort and occasion from where to enjoy scrumptious buffet breakfasts, light and healthy lunches and evening feasts. Led by acclaimed Executive Chef, Malika van Reenen, Signal’s innovative menu celebrates the Cape’s rich variety of culture with dishes that pay homage to local flavours and accent European classics. Lovers of seafood will undoubtedly relish seasonal specialities like the fragrant butter curry risotto with spiced kingklip and grilled prawns, while those after a hearty meal might opt for an ostrich steak (a local favourite) or confit of lamb shoulder. Vegetarians will love creations like the caramelised aubergine and chickpea salad and creamy mushroom tortellini, and those with a sweet tooth will delight in desserts like the tart raspberry sorbet served with a nutty pistachio sponge and vanilla mousse. Warm and attentive staff ensure personable service, with a knowledgeable sommelier on hand to pair each selected dish with a superb glass of wine expertly chosen to compliment the flavours that will undoubtedly leave a lasting impression. Booking is essential. Should you have any dietary or special requirements, do mention them when booking as we would be more than happy to assist. Crafted with passion, our Tasting Menu is a gourmet journey that is not to be missed. Designed to showcase the best of South Africa’s seasonal ingredients, each course is perfectly paired with a delectable wine from top vineyards in the Western Cape and beyond. Gifting is both effortless and luxurious. Find something for everyone and for all celebratory occasions. Gift an indulgent dinner at Signal Restaurant, a leisurely afternoon tea, or, an exceptional Whisky Tasting in Bascule.